Two weeks ago I thought this would be resolved. 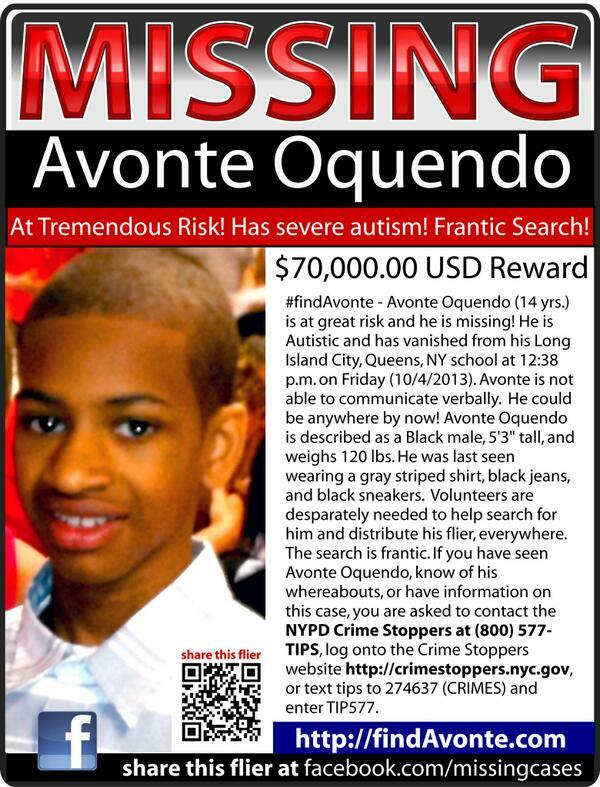 Unfortunately the mysterious disappearance of 14-year-old Avonte Oquendo remains unsolved, despite NYPD officers’ and countless volunteers leaving no stone unturned to reunite him with his family. I know what you might be thinking…there are countless brown faced men, women, boys and girls that go missing everyday that are never the focus on the news, hence this popular show. However, as troubling as that reality is for us. Avonte’s case is even more startling because he has no voice. He’s a 14-year-old autistic teenager–whose love of trains led him to these safe albeit noisy havens–that ran out of the front door of his school in Long Island City Oct. 4th without a trace of his destination. Hi Avonte, it’s mom. Come to the flashing lights Avonte. Please listen and pay attention. We know our girl Holly Robinson Peete did. 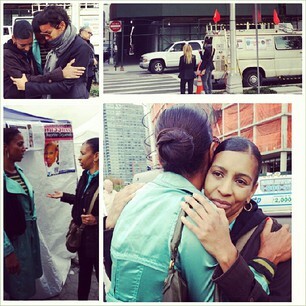 Earlier this week, Holly made a visit to the family’s #FindAvonte headquarters in Long Island City, New York. Holly comforted and prayed with the family of the autistic boy during her visit. And blasted Avonte’s school for letting the young boy walk out the door without stopping him. I cannot fathom the horror of leaving your nonverbal child with #autismin the hands of a school that’s supposed to look out for him and he is allowed to just walk outside on his own. A security guard watched as he skipped away… #worstnightmare #autism We need everyone in schools to be aware and educated. NYPD Commissioner Ray Kelly released a statement saying the security guard followed normal procedures. Because cameras show her telling Avonte to go back to class when she saw him attempting to leave. Considering Holly is the parent of an autistic child and has an organization dedicated to educating families about autism is understandably why she caught major feelings over #findAvonte mission.